I originally tested out this recipe to share it with the ladies in my monthly bootcamps who might be nacho lovers like me but when I posted it to my Instastories, I got a lot of questions about it. It turns out I'm not the only one who loves all the cheesy goodness and delicious flavors of nachos but doesn't want the guilt. Cauliflower is a super vegetable. 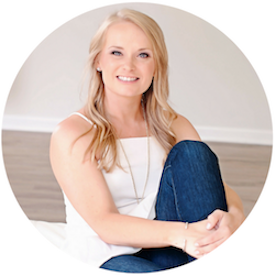 If you have not tried substituting it for rice or potatoes yet, you definitely need to. It can really lighten up a meal without sacrificing flavor. I am a big fan of chicken fried cauliflower rice or parmesan mashed cauliflower instead of potatoes. Yum. 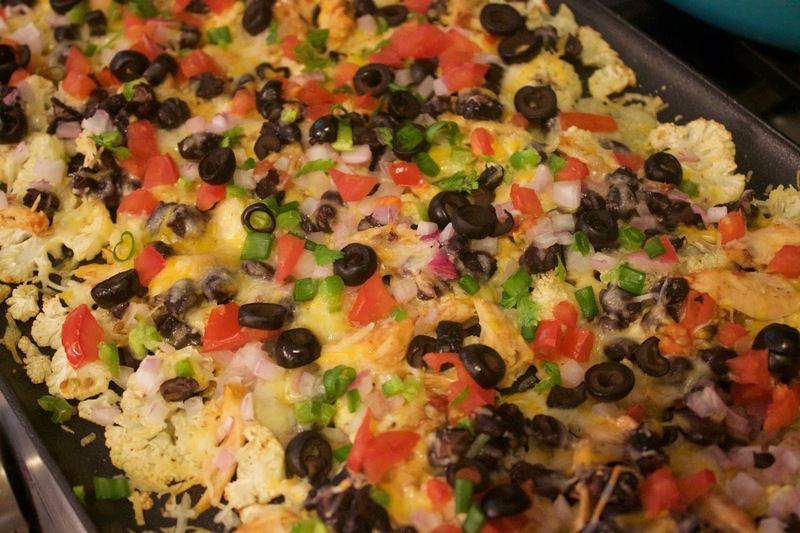 Our company blog shared this recipe for cauliflower nachos last year. I am such a nacho lover but we all know they are not the healthiest so I decided to give the recipe a try and tweak it with all my favorite toppings and a little extra protein so that it could be a true "meal." 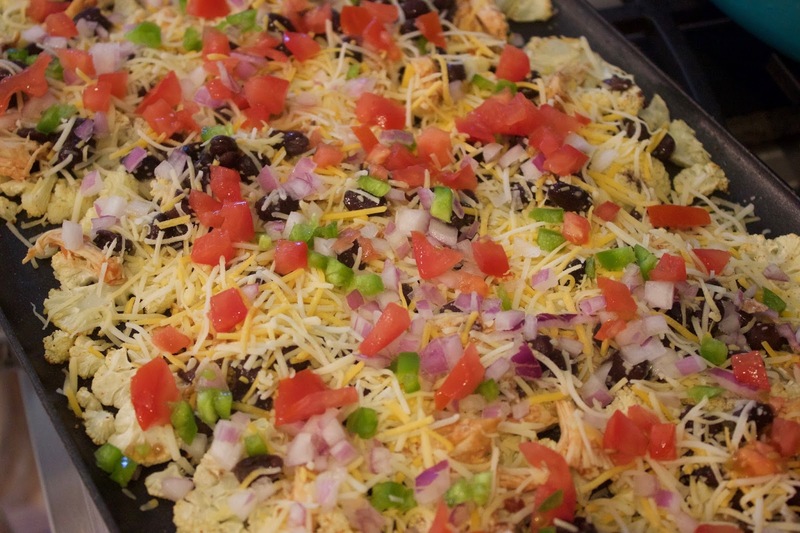 This recipe really cleans up nachos without sacrificing all of the great flavors. 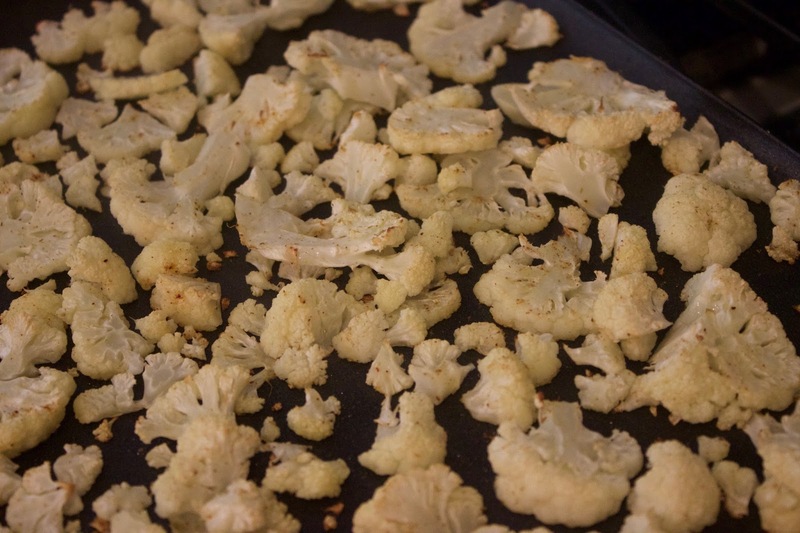 To begin, slice your cauliflower florets into thin slices. Toss with olive oil and season with cumin, chili powder, and garlic powder. Then, roast at 425 for about 20 minutes. While the cauliflower is roasting, prepare your toppings. You can top with any shredded chicken and this is a great recipe to use up left over chicken, pork, or steak from another meal. For my nachos, I tossed a chicken breast in the crockpot with a little salsa and shredded once it was cooked through and tender. 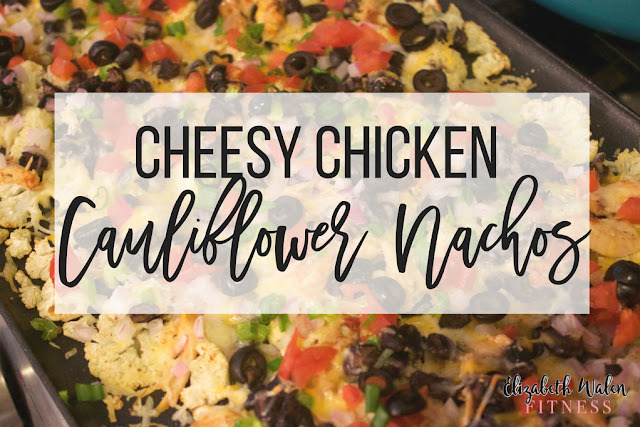 Remove your roasted cauliflower from the oven and top with shredded chicken or protein of choice, black beans, diced onion, tomato, and jalapeño, and shredded mexican-blend cheese. Then, return to the oven for about 10 more minutes or until cheese is bubbly and golden. Once you remove your nachos from the oven, add a little freshly diced cilantro and serve. These aren’t grab a chip and eat with your fingers nachos – you will need a fork. But I think you will be pleasantly surprised with all the flavor packed into this cleaned-up dish.